To ensure that important borrowing information such as pre-overdue notices, over-due notices, and other messages reach faculty, staff and student borrowers using official university email accounts. This policy applies to the Arthur A. Wishart Library user community who have been given official Algoma University email addresses by the ITS Department, including but not limited to faculty, employees, and students. 1. How Does the Library Contact Me? 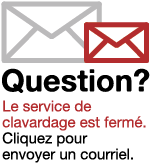 1.1 All University Library correspondence for students, faculty and staff is sent to a Algoma University e-mail address. 1.1.1 See ITS Help Desk for information on your e-mail account and on forwarding mail to another address. 1.2 All borrowers are responsible for responding promptly to e-mail or print communications from the Library. 1.3 Printed notices will be sent for bills for replacement, and accumulated fees greater than $##.00. 1.4 All notices will be sent in print to users who do not have an e-mail address in their Library record. 2.1 Borrowers can check the status of their account and modify contact information by using My (Library) Account. 2.2 If you have any questions about this policy or your account, please ask Circulation Desk staff, contact the library by email, or call 705-949-2301 x4610/x4615.